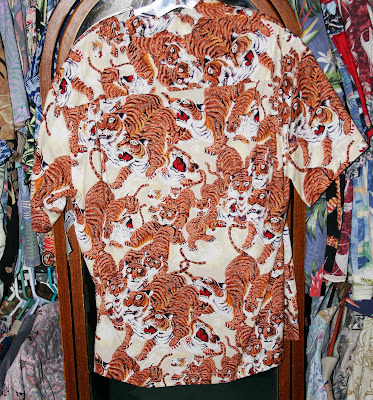 This is the third episode of Designs from Paradise. The first was Tori Richard LTD, the second was the story of Dale Hope. 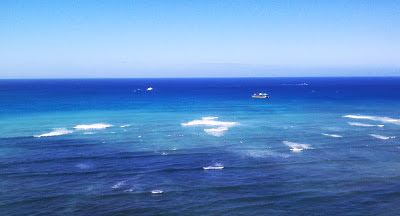 Last year my husband and I visited Hawaii to celebrate a family member’s birthday. 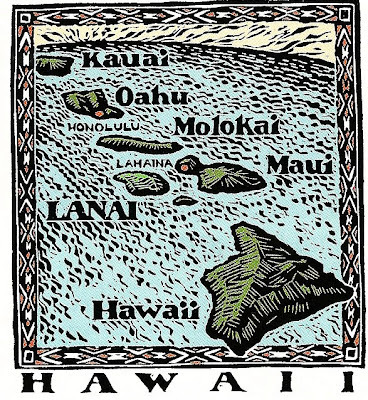 Just before leaving home I saw an old episode of Anthony Bourdain when his adventures took him to HNL. 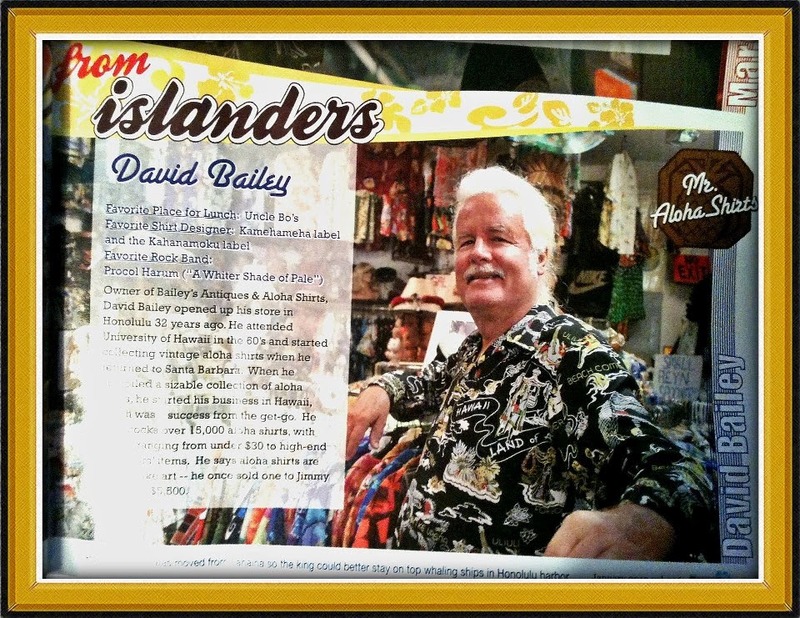 One of his tours was a visit to Bailey’s Antiques and Aloha Shirts. 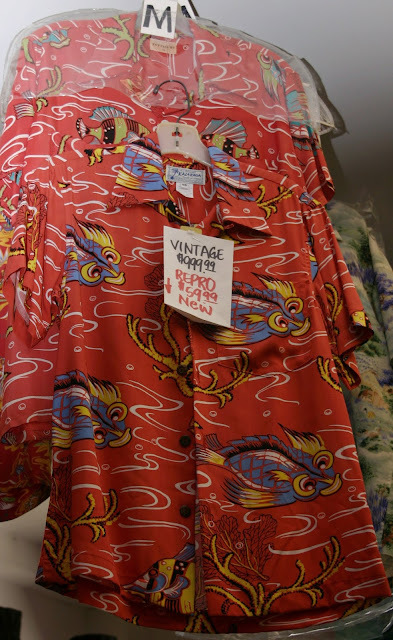 He highlighted the amazing collection of vintage textiles, with an emphasis on Aloha shirts, David Bailey had on display in his shop (more of a museum in reality). 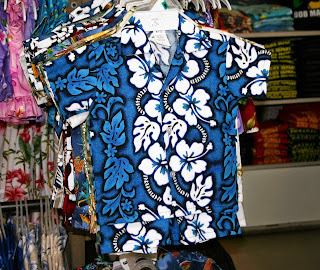 You can see a part of his visit on a video at www.alohashirts.com Naturally, I took this as an invitation from the “gods of textiles, old and new,” and made the required shopping experience. 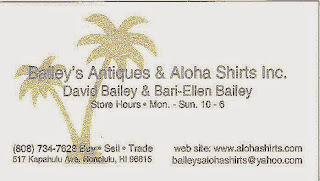 The shop is located at 517 Kapahulu Avenue, Honolulu, a short city bus ride into the suburbs and a 2 block walk. 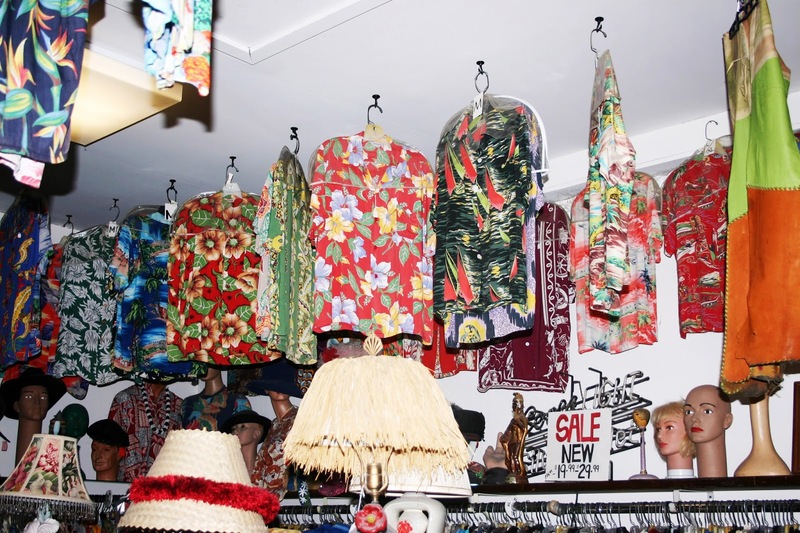 Established in 1980, it was, at first, located on Waikiki Beach, but moved to its present location to accommodate the growing inventory of vintage textiles and island memorabilia. 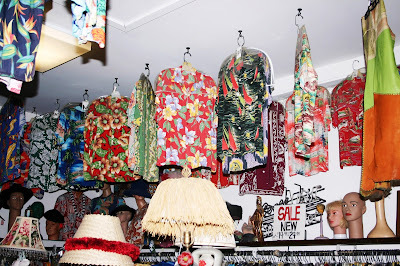 We were very impressed with the knowledgeable staff and their friendly assistance, which included permission to photograph within the shop. 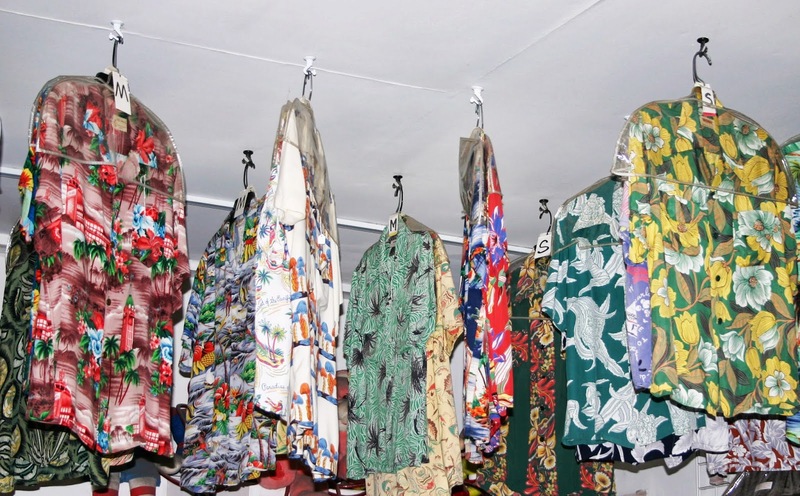 Before we left (after much time browsing, examining the shirts and taking notes) David Bailey spent time explaining his love of island textiles and the history of his collection of over 15,000 shirts which were arranged into categories: used, new, vintage and specialty. Shirts are displayed on racks, folded on shelves and even hung from the ceiling. The original of this shirt sold at a California auction for $25,000!!! 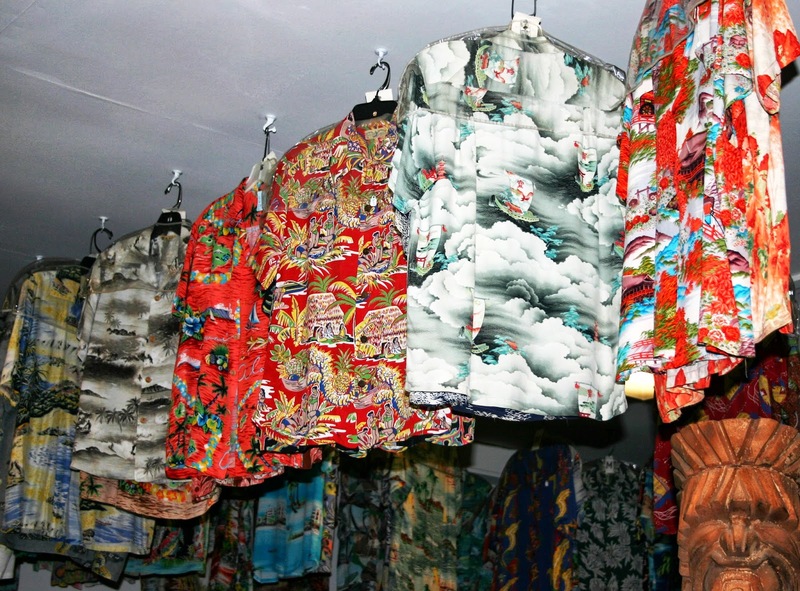 I hope you enjoyed our 3 brief excursions into textiles from paradise. 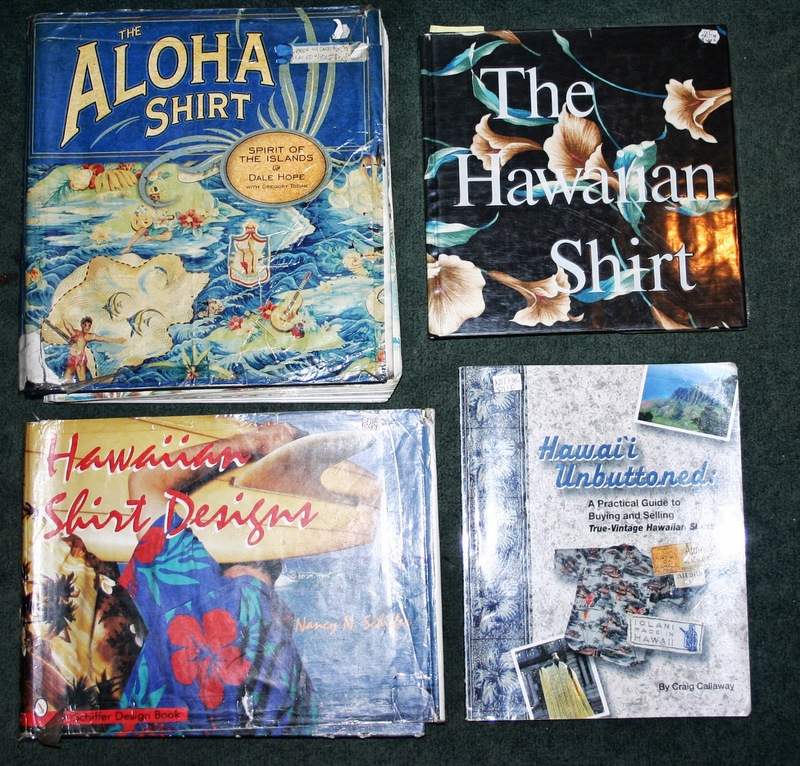 In my June 21st blog I wrote that I have had 3 terrific textile experiences while visiting Honolulu, the first at the offices of Tori Richard Ltd, and now the story of Dale Hope, designer and author. 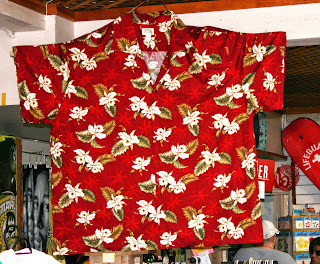 Hawaiian shirts are everywhere on the islands. 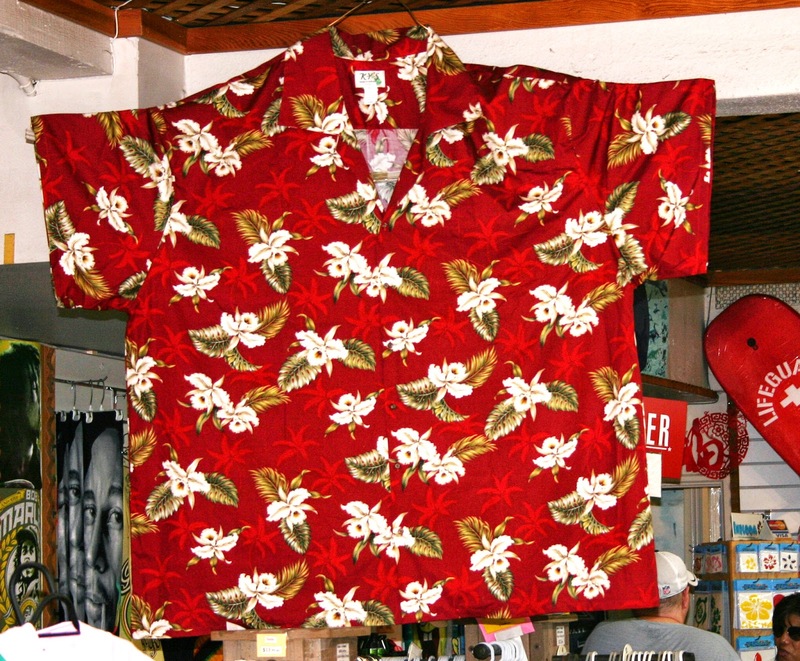 I never gave them too much notice beyond their bright designs and thought of them as essential tourist purchases. 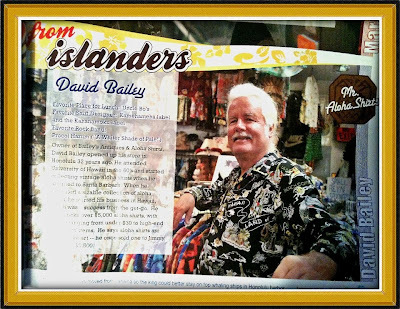 My visit to the studio of Dale Hope some years ago changed that view. 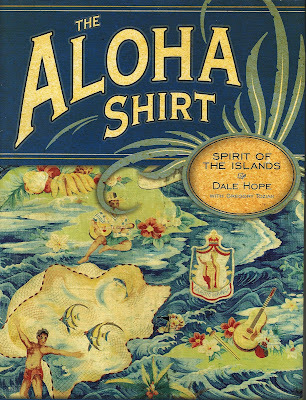 Dale Hope was born in Honolulu and grew up with his parents garment business. 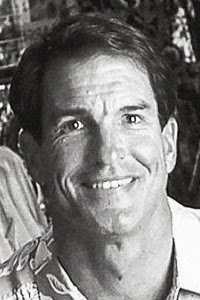 When he inherited his family’s clothing industry in 1986 he purchased the well-known Kahala label and became the creative director for Kahala Sportswear. But it is his passion for the iconic Aloha Shirt that is today’s story. 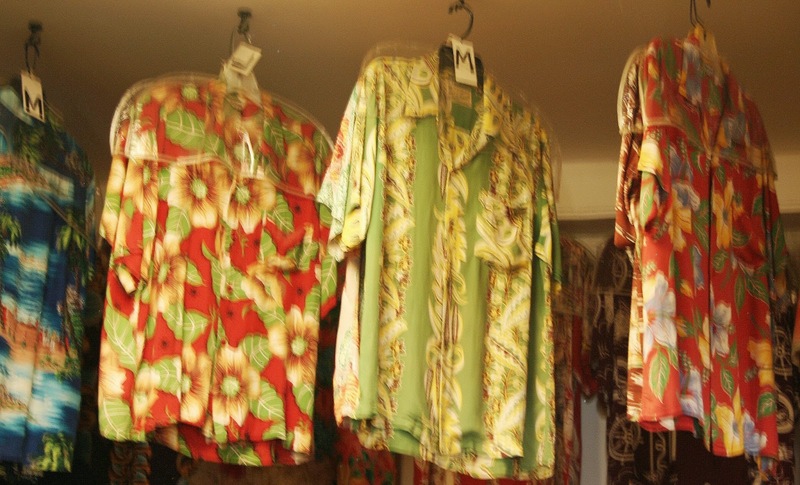 At his studio and archives I, and a group from the Textile Society of America were shown an array of vintage shirts which Kahala was reintroducing. 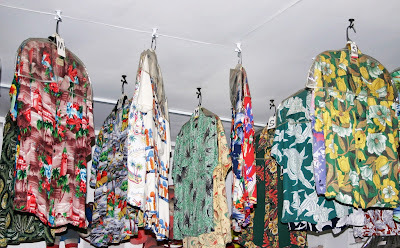 The process of selecting appropriate designs and color-ways as well as partnering with well-known printing facilities in Japan indicated the attention to detail that was so important to Hope. Of course, there were also new lines to design and produce. 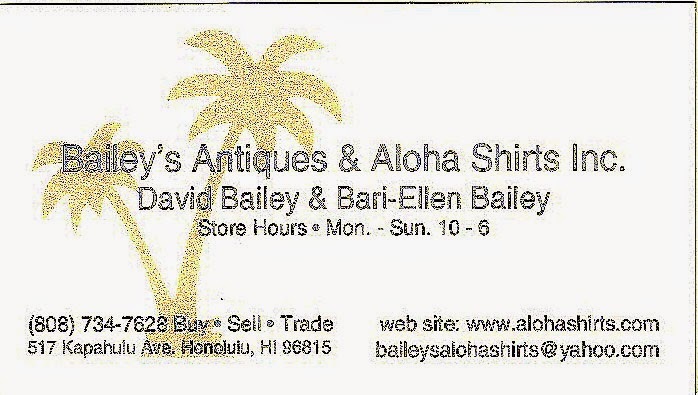 Since that visit Hope has made many changes to his career. 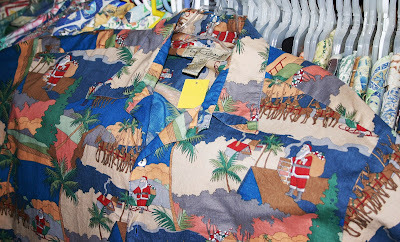 He has collaborated with Lucky Brand, a line of casual wear known to many of you (Lucky Brand is owned by Fifth and Pacific). 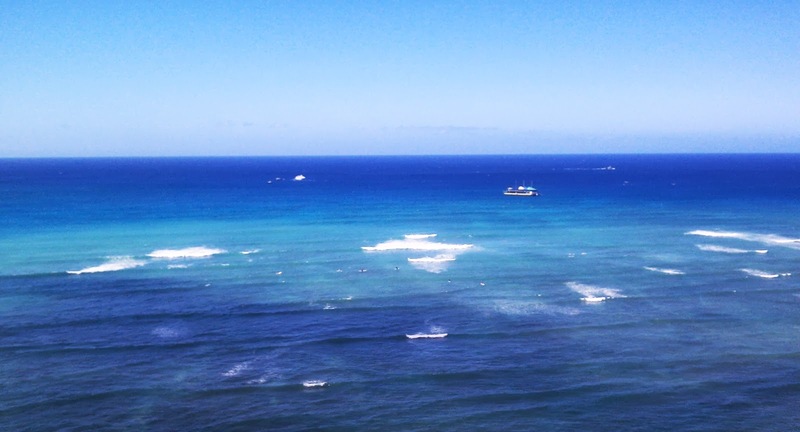 Kahala Sportswear is now a subsidiary of Tori Richards Ltd. He has traveled the world with his family searching new designs and he has written the most fascinating history of the Aloha Shirt with Gregory Tozian : The Aloha Shirt: Spirit of the Islands. This volume includes everything an enthusiast would want to know about this classic garment: history, designers, textile print-makers, manufacturers, down to buttons and labels. Photographs of garments and designs are stunning and included are many, many paper memorabilia and biographies of early Hawaiian textile designers. 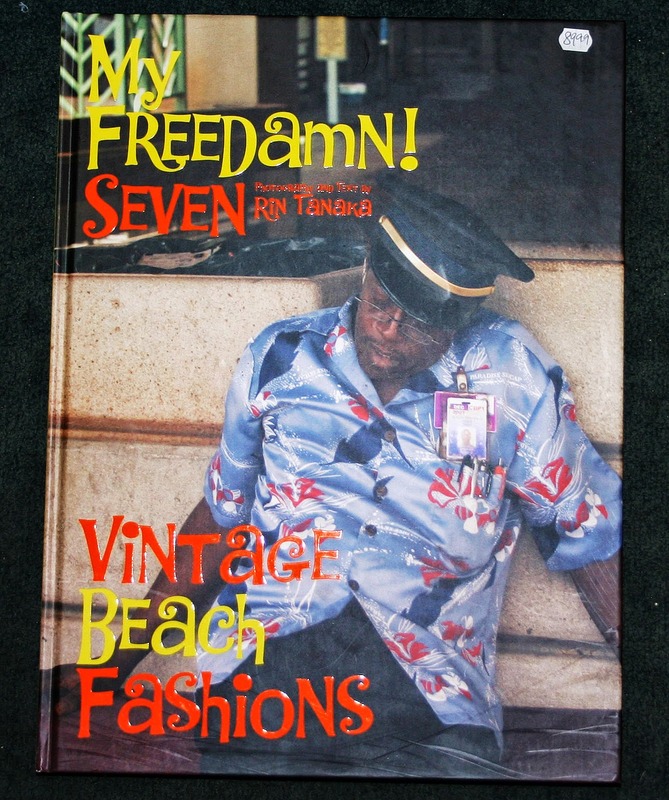 Reading through this volume again on this hot summer day, I can almost hear the surf of the Pacific Ocean (nearly, as I am in a desert). Or maybe it is this second tropical drink I am enjoying that reminds me of my visits.